Every once in awhile I just have to shake my head. What are people thinking? Case in point is this window treatment which was posted online for a forum in which I participate. 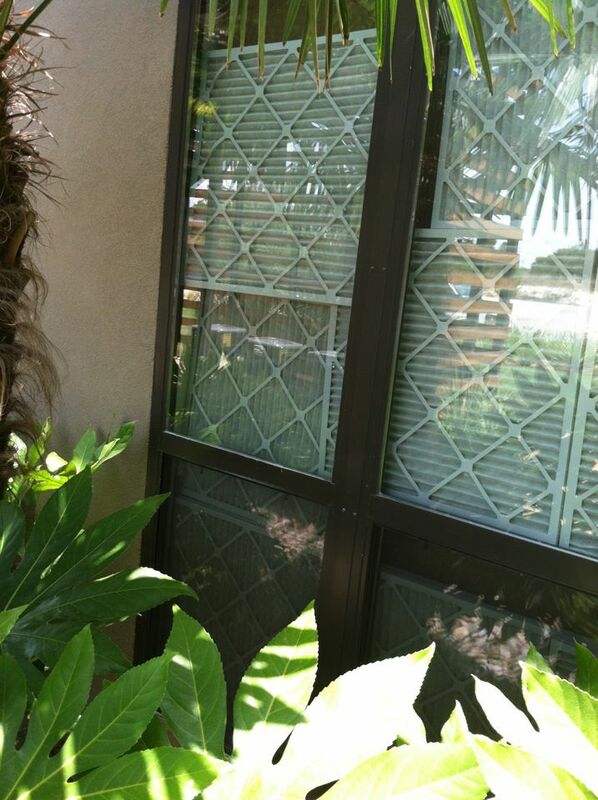 Kendall Carter, who snapped the picture, shared this insight: “New custom window treatments … New and/or used a/c filters. What’s not to like? Attaches with tape, fits all sizes, great insulators, inexpensive…” We all had a chuckle with this…..adding thoughts like, “…well at least their children are safe..no cords” and ” good repeat business…you have to change them every month :)”. We all know there are other ways… Next time you need some help with your windows, ask a window fashion certified professional. You’ll get a much better look! New way to keep out the sun?